The craze over the Proenza Schouler PS1 has not died down and frankly, I do not want it to. I still love this bag and for spring I crave bright pops of color being incorporated into my wardrobe. 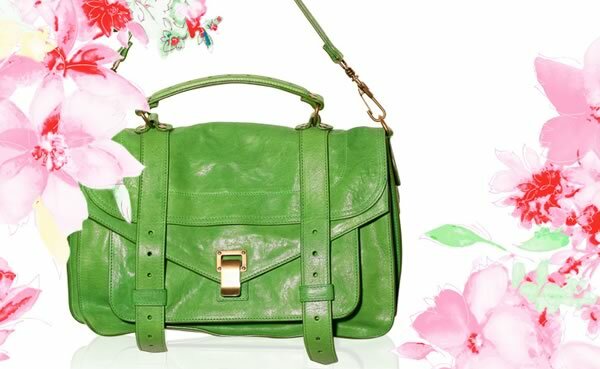 Is this brightly hued green Proenza Schouler PS1 not ideal? No matter how simple the rest of your outfit is this bag is sure to stand out without being obnoxious. From crisp white tees to perfectly preppy khakis, this bag will add a refreshing touch to your spring and summer wardrobe. Buy via Net-A-Porter for $1,595.